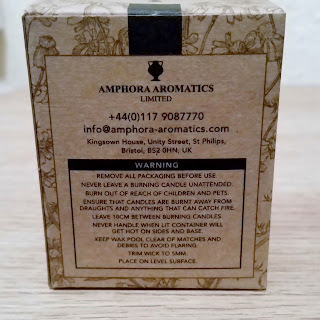 Amphora Aromatics were so kind to send me their Essential Oil Candle. 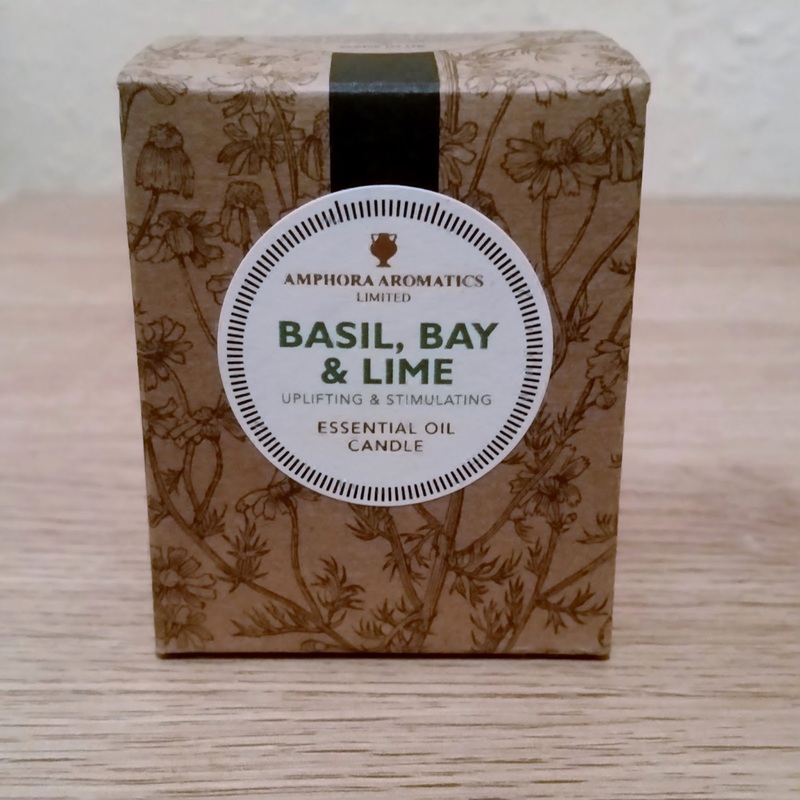 Amphora Aromatics has launched all-natural home aroma range just in time for Christmas. 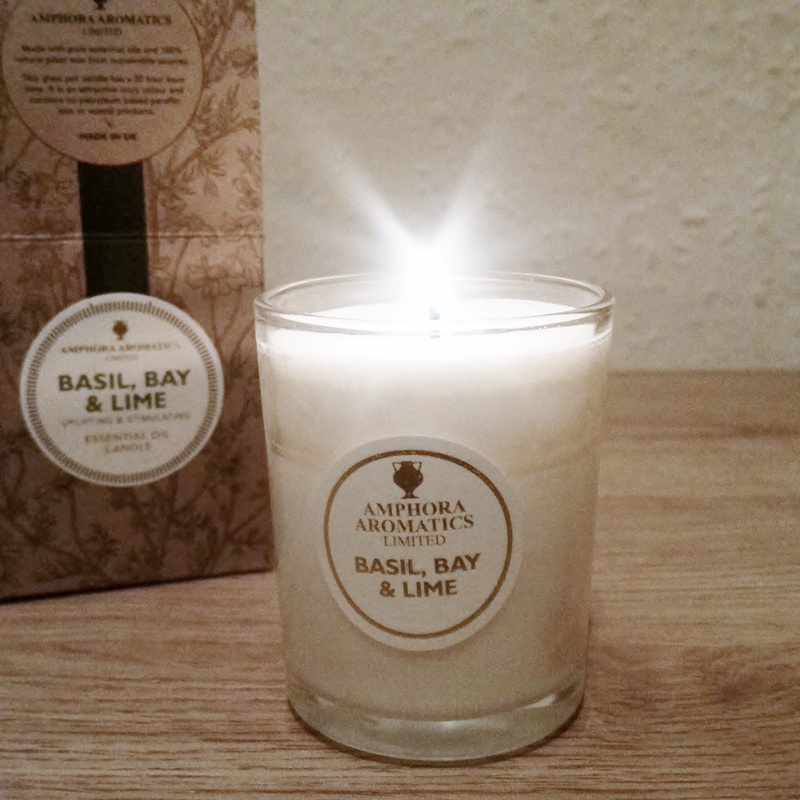 The Candles themselves are formulated from essential oils and are 100% plant wax from sustainable sources. 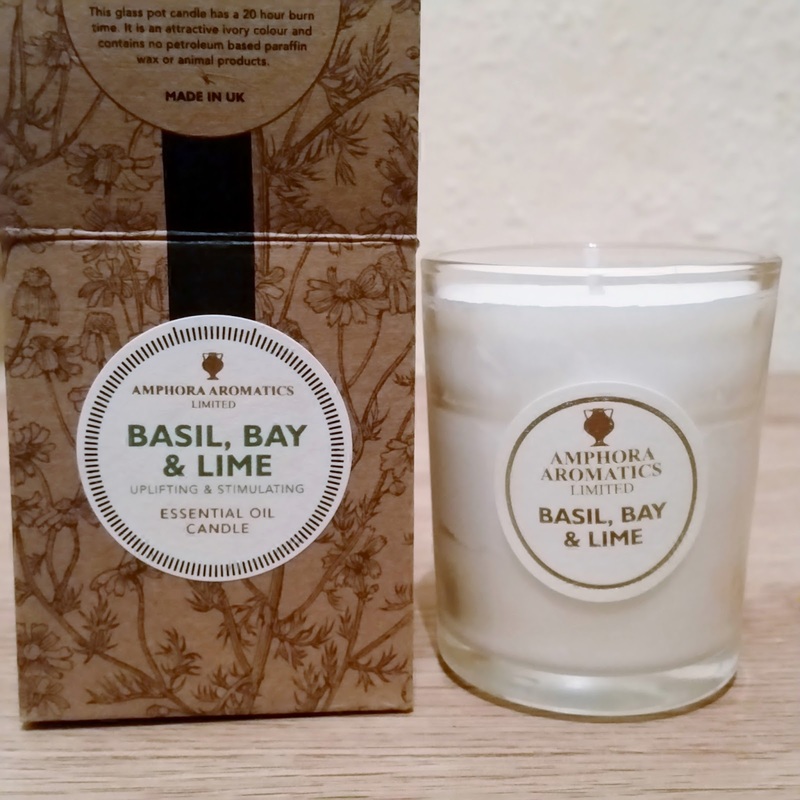 The clean burning and a choice to choose from a 20 to 40 hour pot candle, leaves you to decide which essential oil you would love to try. orange & clove to grapefruit and many more. 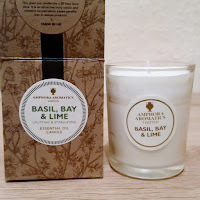 I was sent the Basil, Bay and Lime which claims to be uplifting and stimulating, that it kindly suggest on the label. it stimulates the senses, which influences brain activity, which then can affect your mood and help create a relaxing environment around you. My basil, bay and lime candle arrived well packaged and i could smell the candle through the packaging. It sits safely in a really nice designed packaging box with all information on the front and back to let you know how to use. 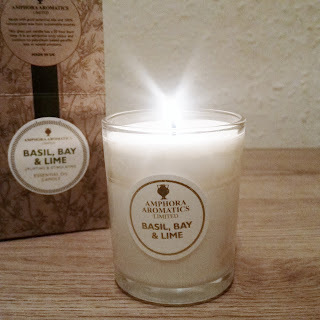 The candle they sent me has a 20 hour burn time and also comes in a glass pot. The colour of this candle is an attractive ivory colour. You can smell the aroma fill the room before u have even lit the candle but the scent isn't nauseating, its quite soft and comforting. 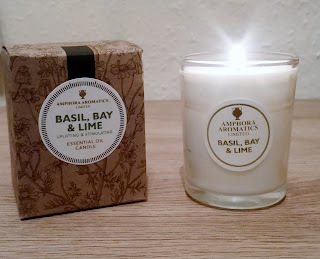 The candle burns really well and you can feel the aroma fill the room whilst your senses become enchanted by the scent. They do not contain petroleum based paraffin wax or animal products. I really like these, they smell really nice and you can choose which one to suit your mood. 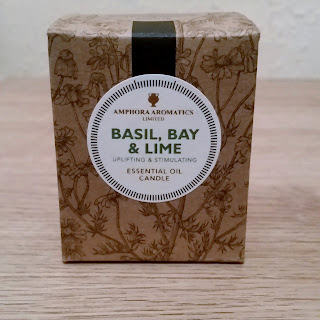 Click on the link to Amphora Aromatics website. Remember never leave a burning candle unattended!!! There are other warnings on the back of the product if your not sure how to use.